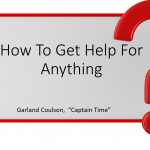 Click here to view the “How to Mind Map a Book” video associated with this article. I LOVE books! 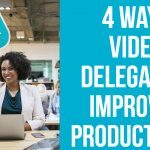 They are one of my favourite ways to learn new business techniques and strategies. But when it comes to applying the lessons in my favourite business books, I struggled. 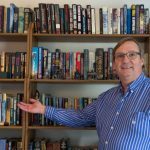 I would have the book open on my desk and flip back and forth through it, but usually there wasn’t an easy, step-by-step layout in the book I could follow to use the great new strategies I had learned. Books are full of history of how the author developed or learned the techniques along with case studies and stories on the topic. These blocks of information help you learn but gets in the way when you are trying to find the key points quickly. This became really apparent when I had a client who wanted me to advise her on “value pricing” for her business. While I had some knowledge, I wanted to know as much as possible. So I purchased one of the most recommended books on value pricing and read it in its entirety. The book was excellent, but how could I easily find the discussion points for the client so I could help them? I needed a better way. So I decided to mind map the key principles and applications from the value pricing book. I found it worked superbly. I could easily find all the points I wanted along with my notes on how to implement each point. I could close and open branches so that I could focus on a single point at a time. Mind mapping a book proved to be so successful for me that I do it now with ALL books where I need to actually use the principles, not just learn about them. For those of you who are new to mind mapping, check out my “Introduction to Mind Mapping” free online course. Here are some tips on how to mind map a book so that you can apply this technique yourself. View the video as well to see how the branches easily open and close for each point. 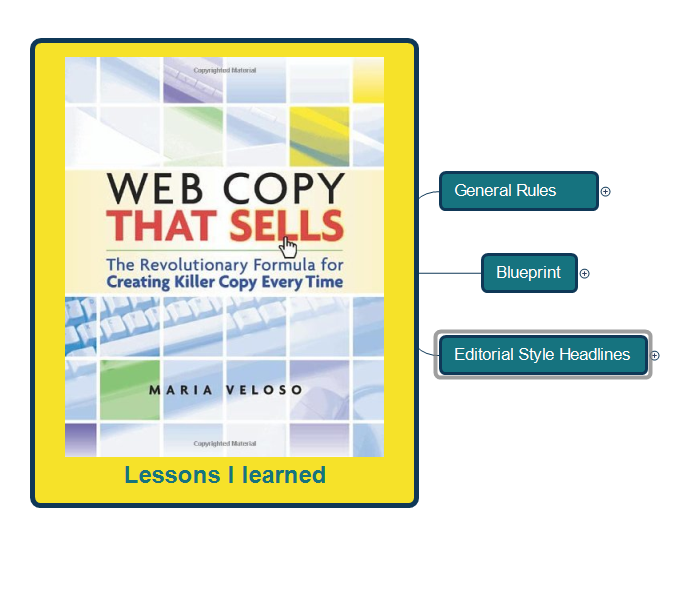 For the purposes of this article, I chose to mind map Maria Veloso’s “Web Copy That Sells” – an excellent book on web copywriting and one of my favourites. I reread the book at my computer, capturing key points along the way in my mind mapping program. The mind map program I used was Xmind. Xmind is powerful and offers both free and professional versions. I broke the mind map down into 3 main sections. 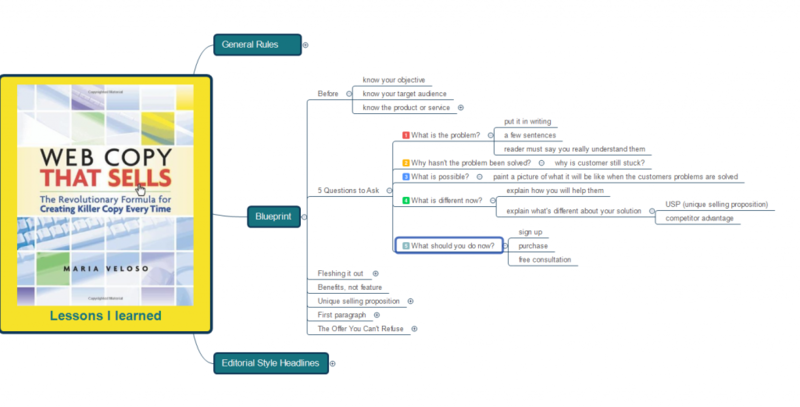 General Rules, Blueprint and Editorial Style Headlines. General Rules is intended to be the section I read first before any copywriting to remind me of my goals and the general approaches. Usually I open only one subbranch/level at a time and read it but I opened most of thee branches under this section for the screenshot so you could see the depth of information that is possible. Note that I just work with bullet points – reminders of what I have learned. As you can see, I can quickly refresh myself on the general rules before undertaking any copywriting. The BluePrint section takes me through a series of questions I can use to help me develop the copywriting content. 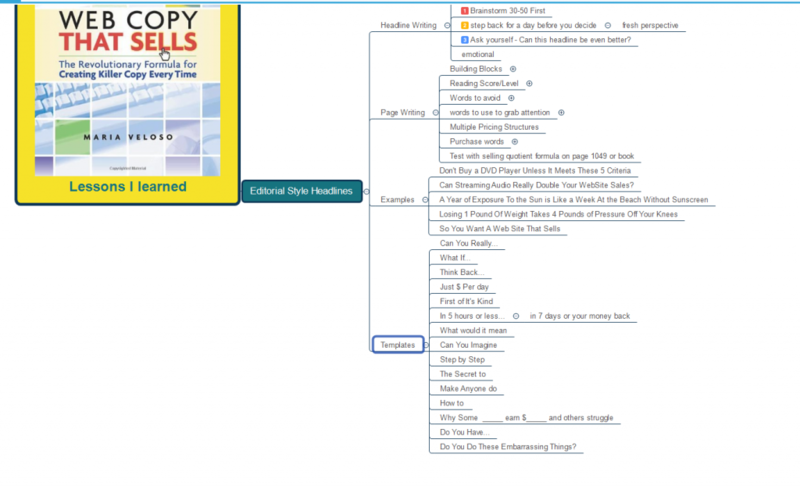 The Editorial Style Headlines section gives me additional tips on writing headlines along with some sample headlines to use for inspiration. 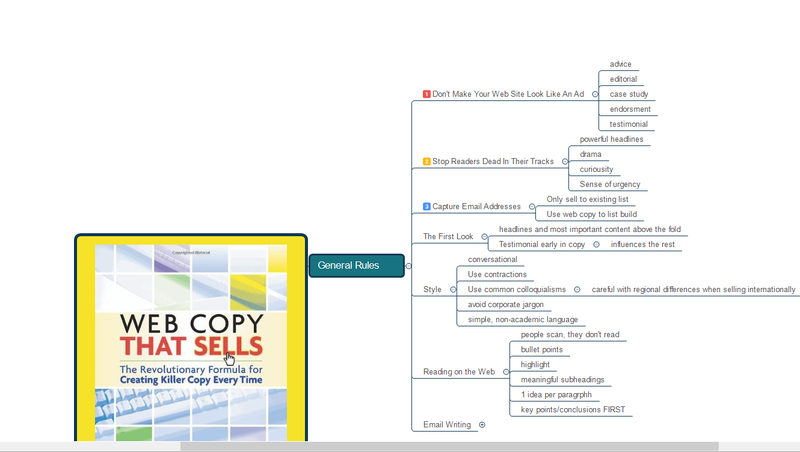 As you can see, by mind mapping a book I can easily access the key points of the lessons I have learned from the book. Of course your approach will differ. You must choose main topic categories and sub categories that work for you, but I believe you will find that learning how to mind map a book will help you more easily learn and apply what you have learned. This works not only for organizations and business people, but for students as well. Thanks for reading! Please share this articles with others who can benefit.